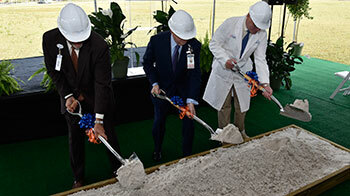 UF Health leaders officially broke ground Aug. 14, 2013. 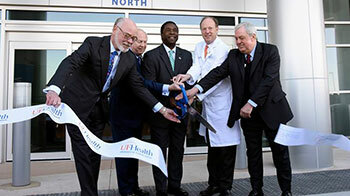 The doors to the $140 million facility opened to the public Feb. 17, 2015. 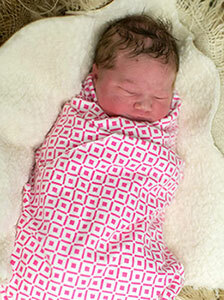 Daisy Borders was the first baby born at UF Health's Birth Center, arriving at 9:59 p.m. March 15, 2015. 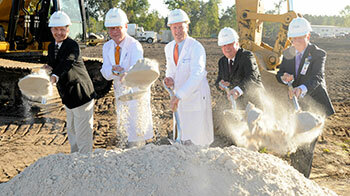 UF Health leaders broke ground on the 92-bed inpatient tower Nov. 16, 2015. 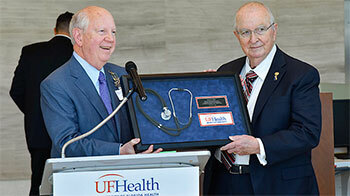 On Feb. 25, 2016, the atrium of the UF Health North medical office building was named after former hospital CEO Marcus E. Drewa for this decades of service. 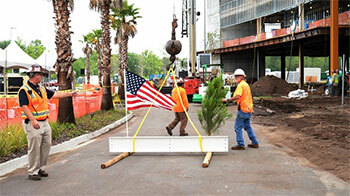 A topping-off ceromony was held May 18, 2016, to mark the installation of the final beam in the bed tower expansion. 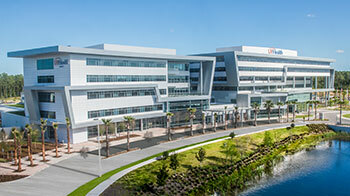 The 92-bed hospital opened May 23, 2017, and is the only full-service hospital in North Jacksonville.